We've been off site now for 2 weeks. It's hard to believe the season is over for another year, they grow up so fast! It's a strange feeling leaving our caravans after taking care of the Little Terns for the last 3 months. I'm still adjusting to normal hours and not chasing after crows! 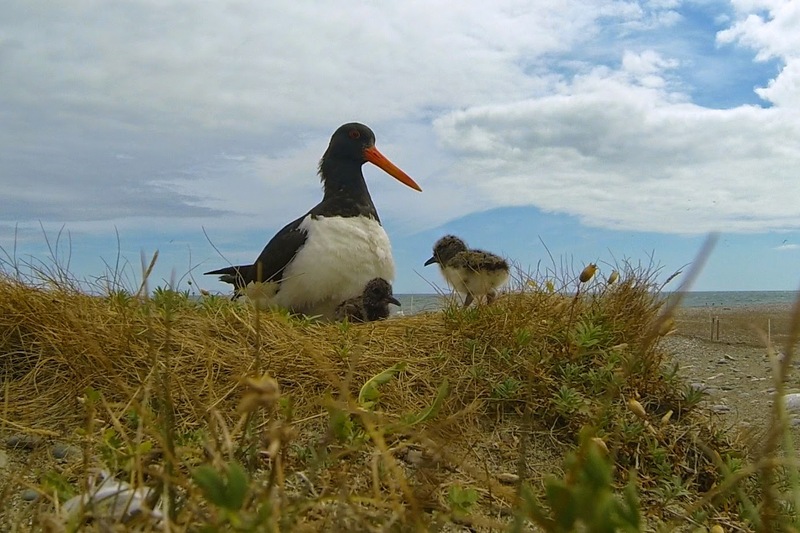 We couldn't be happier as the 2014 Kilcoole Little Tern Conservation Project was a phenomenal success. 120 breeding pairs of Little Terns graced Kilcoole this year which was a record. The previous highest was 106 pairs in 2006. 219 Little Tern chicks are presumed to have fledged this year and, you guessed it, this was also a record. The numbers this year have been off the charts, literally. We had to manually reset the maximum number allowed when making a graph showing the numbers of Little Terns in Kilcoole since 1985! 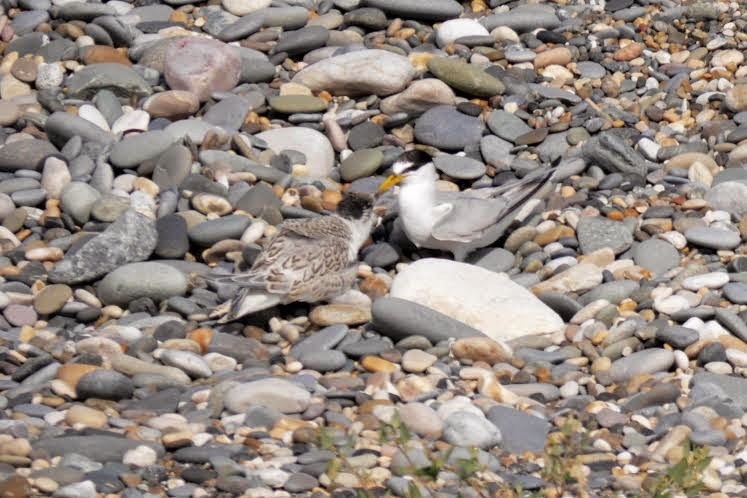 2014 was also a special year because we were lucky enough to be the first wardens to colour ring Little Terns in Kilcoole. 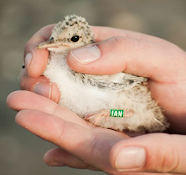 We were set a goal by the powers that be to colour ring 50 Little Terns chicks. We ringed 135! That's 60% of the Little Tern chicks in Kilcoole. But what is really special is the information that this will give us. We have already started to reap the rewards as one of the Kilcoole fledglings has been resighted. 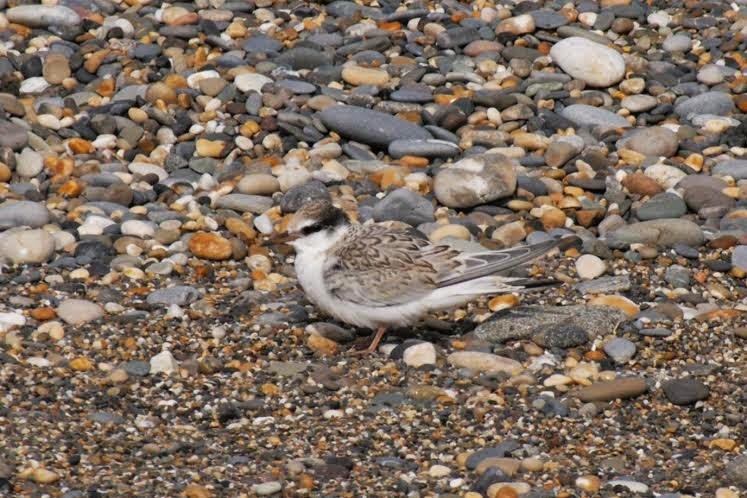 On the 10th of August a Little Tern fledgling with a green colour ring on it's left leg (a Kilcoole bird!) was sighted on Hilbre Island in the Dee estuary on the England/Wales border. This is about 190 kilometres from Kilcoole! This "recovery" sheds further light on how these birds move around the Irish Sea before going back to West Africa. Don't worry they are not going the wrong way, there is obviously no rush for these birds to get back to their wintering grounds. We hope this is the first of many resightings. They never even said goodbye! While the Little Terns finished hatching a couple of weeks before we wrapped up there was still Ringed Plover eggs left on the beach. The day after all the fencing was taken down we checked the last remaining Ringed Plover nest and we were delighted it hatched! Ringed Plover chicks are fast and mobile the day they are born so they should be just fine. It was a good year for Ringed Plovers with 15 nesting attempts. 29 chicks hatched but it's very difficult to keep track of how many fledged as they are so mobile but we did see good numbers of hefty fledglings feeding in the lagoons. There was also 3 pairs of Oystercatchers in Kilcoole this year. 7 chicks hatched but, like the Ringed Plover, it is difficult to say how well they did. With the Oystercatcher and Ringed Plovers joining the Little Terns you can imagine the beach was very busy and very noisy this year! So there you have it, a record year in Kilcoole. We would like to thank everyone involved in the project this year from those of you reading the blog, to the local people of Kilcoole, our volunteers and to everyone who visited us this year. The support for this project has been nothing short of overwhelming. Thank you. Roll on 2015, records are made to be broken!